The more things change, the more they stay the Best Ever. 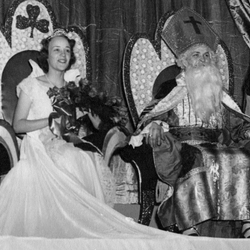 St. Patrick lived roughly 1,600 years ago and historians will tell you he wasn’t really Irish – he was probably Welsh. Legend has it that he was kidnapped as a teenager by pirates and taken to Ireland, where he was enslaved. He escaped and eventually became the patron saint of Ireland. (After becoming a Bishop, he went back to Ireland and ultimately died there.) He was never an engineer and there haven’t been snakes in Ireland since before the last ice age. Get on your green and join UMR for an event 100 years in the making at this year’s Best Ever St. Pat’s, starting Monday, March 3. On Lance Haynes’ first day as an assistant professor of speech and media studies back in 1984, his colleagues took him to lunch in the old University Center-East cafeteria. As they walked across campus, Haynes noticed students walking around in green jackets, which seemed unusual in such warm weather. 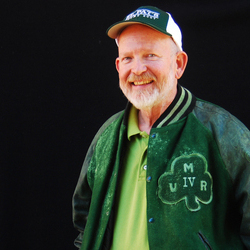 Bob Fitzsimmons was a high school freshman when he started working part time for the Rolla Daily News in 1956. 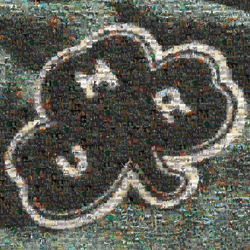 The cover image of the Winter 2007 issue is a Photomosaic (R) of the shamrock that adorns the jacket worn for decades by St. Pat’s Committee members. 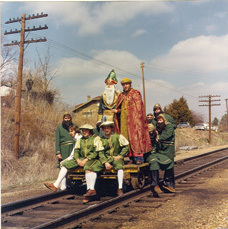 It features 1,150 unique images of St. Pat’s through the years. The Photomosaic was created by artist Robert Silvers. See more of Silvers’ work at www.photomosaic.com. Even in war time, UMR alumni will find a way to celebrate the Best Ever. For an article that appeared in a 1991 issue of the magazine, MSM-UMR Alumnus staff interviewed Gene Boyt, ME’41, about his experiences meeting up with two MSM alumni as prisoners of war in the Philippines during World War II. 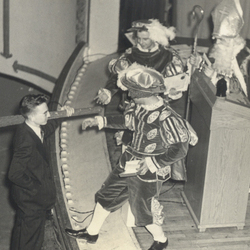 While stationed in Africa during World War II, Thomas W. Kelly Jr., MetE’40, wrote a will establishing an MSM scholarship fund with money he inherited from his uncle.